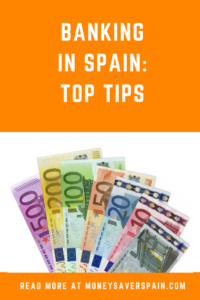 Whether it’s due to the language barrier or lack of knowledge about the Spanish banking system, many expats don’t realise that they’re duped out of money every year by their banks. Read our tips to make sure that the euros stay where they should: in your account (or pocket)! Using direct debits for your utilities, phone and other bills is easy and the service is normally free. But what happens when there’s an amount charged to your account that you don’t agree with? For direct debits you set up, if it seems the amount charged is incorrect (for example 100€ charged for a 10€ bill), by law you have 8 weeks to return it. But check twice: if it is correct and the direct debit has to go through again then the company concerned will charge you (normally up to 10€). If you see a charge on your account that you haven’t authorised then you have 13 months to return the charge. Don’t forget to let your bank know not to accept any further charges from the company concerned. Remember never to use this service just to protest at what you’re charged. Not paying your bills month after month could lead to a lot more problems than having a subscription / phone line cut off as you may end up on a debtor’s list. If your bank doesn’t offer free credit cards or commission-free banking, don’t accept the commission rates at face value. Long-term and “good” customers can negotiate commission rates. As there are plenty of commission-free accounts available (normally online banking), if you don’t get what you want then let your bank know you’ll take your money elsewhere. Gone are the days that banks would try and attract new clients with offers of kitchen cookware or bathroom towels (yes, really, these were attractive freebies for new bank clients in Spain!). Nowadays you’ll be offered iPads, HD TVs, smartphones and similar gadgets. But it’s just a big con. The money has to come from somewhere (banks never lose) so watch out for higher commission, lower savings rates or poor service. 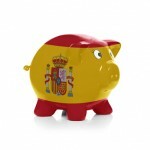 Plus taxpayers in Spain will have to declare the gift on their tax return. Believe it or not, the bank must provide you with a statement showing the value of the gift, most will be subject to a 21% tax rate. 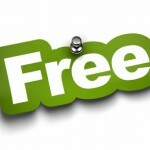 So your freebie isn’t that free really. The Spanish Deposit Guarantee Fund guarantees 100,000€ per account holder per bank. However just because a bank is located in Spain doesn’t mean it’s included in this scheme. Other EU banks are normally covered by their respective country. For example, the Dutch Central Bank covers ING Direct for the same 100,000€ per person. For other non-Spanish banks make sure you check before putting any money in. Take into account that the Deposit Guarantee Fund does not cover the following financial products: Investment funds, pension plans and insurance. The Bank Manager Is Not Your Friend! Scandals apart, remember that anyone who works in your local bank branch does not have your best interests at heart. They’ll normally be working on commission to get you to sign up for products sold by their own banking group. It’s always best to compare with other banks or insurance companies before signing up for anything. Also don’t forget to check the tax applicable on any financial product for your circumstances. Banks will often (conveniently) forget to mention this and any taxes will negatively affect the performance of your investment. Since 2015 by law most financial products in Spain must be classified according to a traffic light system with colours green through red, or numbers 1 to 6. However, it is the banks themselves that classify each product, so don’t take a green rating as a 100% guarantee. Not all products are suitable for all investors. Cash payments in Spain are limited to 2500€ to avoid money laundering. If you have an invoice for 4000€ you cannot pay make two payments of 2000€ each. 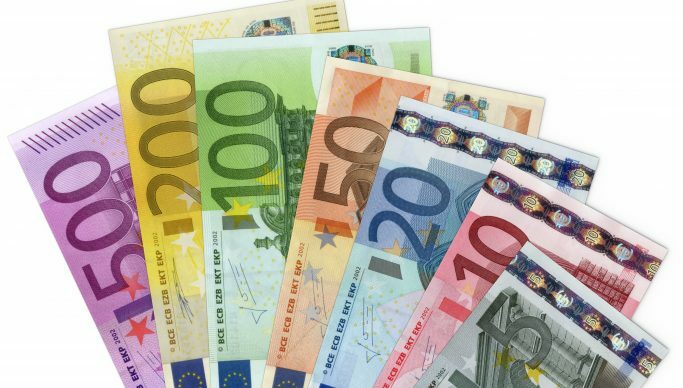 Banks can request to see your ID if you wish to deposit or withdraw over 3000€ in cash. There is a charge for depositing coins, even into your own account. Banks charge for the time taken to count coins; some will charge different rates depending on the number of coins. Commission rates are on bank websites and are often around 5€ to 10€. Check at your branch before taking along your piggy bank. Travelling in or out of Spain with over 10,000€ is subject to presentation of Form S-1 (either at the bank or at Customs). If you’re caught, and, yes, people have been caught, the minimum fine is 600€ up to a maximum of half of the amount not declared. When withdrawing a large amount of cash, make sure you keep the bank validation document as proof. If you need to redeposit the money at a later date and are unable to show where the money came from, the Spanish Tax Office could present you with a 48% tax bill. How About Claiming Back Mortgage Charges? By law banks have to inform clients of how much they overpaid on their mortgage due to the floor clause. However this doesn’t mean that all banks will go ahead and refund their clients directly without a fight. Take a look at our dedicated post with all the details. What About The Bank of Spain’s Official Claims Service? Basically, forget it! The number of claims that goes through the Bank of Spain’s Official claims service is considerable. Many consumers receive a favourable reply and then, nothing. It turns out that the Bank of Spain can only advise but not impose its decision. Banks only take action on around one third of claims.